MILAN -- Ferrari confirmed it is considering an expansion into the utility vehicle business by "reinventing" the segment and plans to boost the range of hybrid sports cars even as the company seeks to maintain an exclusivity status. Details of the new strategy will be unveiled next year. "It will probably happen but it will happen in Ferrari's style," CEO Sergio Marchionne said of the planned utility vehicle on a conference call Wednesday after Ferrari reported a 24 percent advance in second-quarter profit. "That space is too big and too inviting and we have a lot of our customers who will be more than willing to drive a Ferrari-branded vehicle that has that king of utilitarian objective." The Italian supercar maker will present a new five-year plan that runs through 2022 in the first quarter of 2018 and it may include an expansion into utility vehicles, Marchionne said. Bloomberg first reported about the plan Tuesday. Marchionne said Ferrari's plant in Maranello, Italy, where Enzo Ferrari founded the company 70 years ago, has the potential to double production. Ferrari is considering adding a roomy four-seat utility vehicle as part of a major expansion push beyond its traditional supercar niche in a bid to double profit by 2022, people familiar with the matter said earlier this week. A five-year plan that includes the model would also push annual deliveries beyond a self-imposed limit of 10,000 cars, according to the people. The company on Wednesday stuck to a target to boost deliveries this year to 8,400 vehicles. Manufacturers of ultraluxury vehicles have been shifting their lineups in recent years to SUVs as demand surged, particularly from Chinese buyers, who generally prefer large vehicles over sports cars. Rolls-Royce and Aston Martin are both planning their first SUVs, following Bentley's lead with the Bentayga. Lamborghini will introduce its Urus next year. Marchionne reiterated that "you have to shoot me first" if Ferrari comes up with something similar to SUVs made by BMW, Bentley and Porsche. "It has not been done to compete with Porsche." Marchionne added that the company's board has not made any decision whether to build the SUV. The brand, which moved its legal headquarters to the Netherlands when it was spun off from Fiat Chrysler Automobiles last year, has already outlined plans to bring out more limited-edition models this year to celebrate its 70th anniversary. Marchionne, 65, is set to present his final business strategy in early 2018 for both Ferrari and Fiat Chrysler, which he also runs as CEO. He intends to retire from the two manufacturers in coming years. Adjusted earnings before interest, taxes, depreciation and amortization rose in the second quarter to 270 million euros ($320 million) from 217 million euros a year earlier, Ferrari said in a statement on Wednesday, beating the average 262 million-euro estimate of six analysts surveyed by Bloomberg. The carmaker reiterated its target for 2017 profit on that basis to exceed 950 million euros. 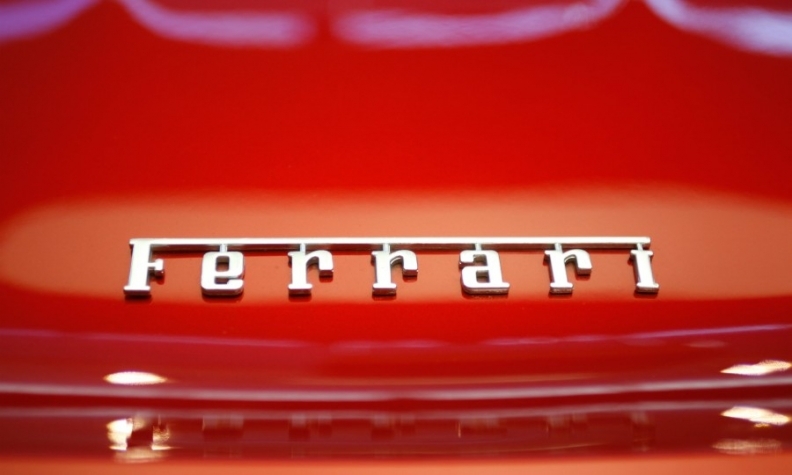 Marchionne said in March that the figure could reach more than 1 billion euros.